lso this weekend, the boys racked their beer into a glass carboy. 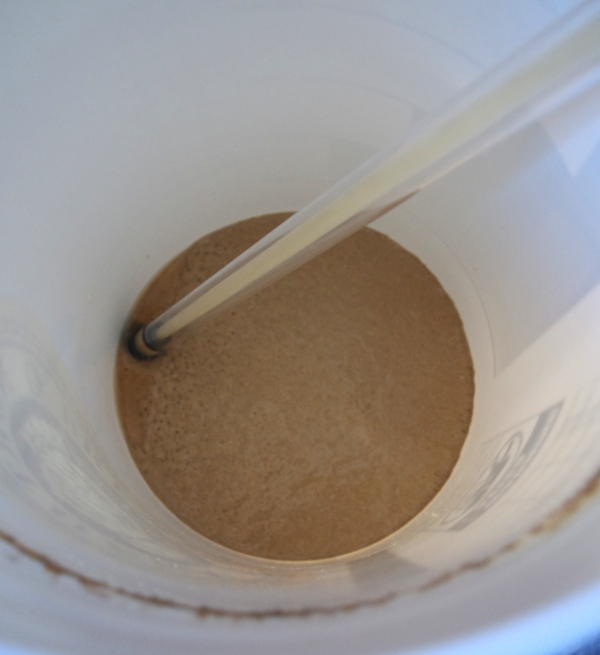 Above is the old yeast cake at the bottom of the primary fermenter. We tasted it and it tasted pretty decent, a little green but not too sweet.